Valid at all pantaloons stores across India (Click here to view the store near you). Pantaloons is a powerhouse of fresh fashion and innovation. With a range of clothing from diverse sub-brands that combine elegance and freshness, the unparalleled options are fashion forward and on trend. The collections consist of western wear & ethnic wear for men, women & kids. In addition to a stunning range of accessories for women & men, Pantaloon house is a repertoire of Lifestyle brands that cater to all consumers across a range of multiple occasions. The family concepts store has evolved into a fashion destination with a focus on delivering the latest fashion. 2. Valid at all pantaloons stores across India (Click here to view the store near you). 3. Valid for 1 year. 4. The validity period of the voucher will not be extended under any circumstances. 5. Pantaloons voucher is redeemable only once and only by the bearer. 6. Pantaloons voucher is not valid at shop-in-shops & on jewelry. 7. This voucher can be redeemed partially but no cash or credit note will be issued for the remaining amount. 8. 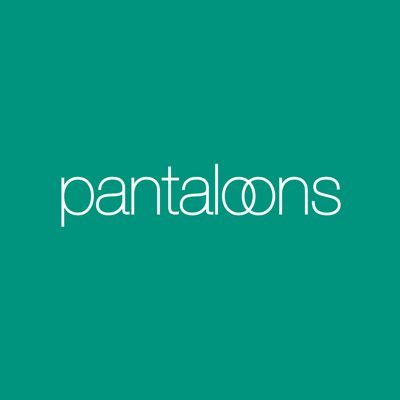 Pantaloons Voucher is not redeemable for cash or credit nor can be exchanged for a deal voucher. 9. Protect the voucher number and PIN to avoid misuse. Pantaloons shall not assume any liability in case the voucher pin is misused. Pantaloons shall neither replace the voucher nor refund cash. 10. Any dispute should be referred to the company and the decision of the company shall be final. 11. Pantaloons voucher has been issued subject to the terms of the company. 12. Litigation, if any, is subject to Jurisdiction of courts in Mumbai. 13. Cashback will be credited in Paytm wallet within 48 hours. Visit any Pantaloons outlet to redeem the value of the voucher.